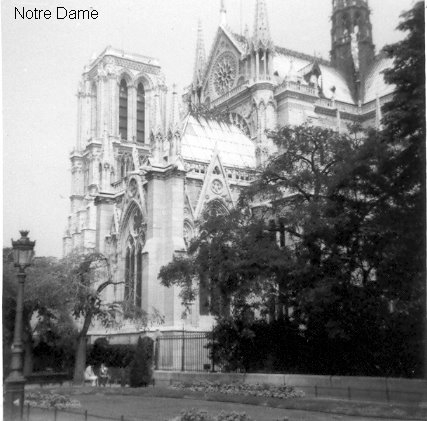 Notre-Dame de Paris. This national treasure of France is being destroyed by fire. Notre-Dame de Paris Cathedral is being destroyed by flames right this minute. A National Treasure of France built in the Middle Ages is going up in smoke. My nephew visited the Cathedral last summer. Find other posts by RICHARD L.
Find threads started by RICHARD L.
Very sad news to see hope they can save some of it. Last edited by aslyfox; 6 Days Ago at 03:41 PM. Last edited by Fenwoodian; 6 Days Ago at 03:44 PM. 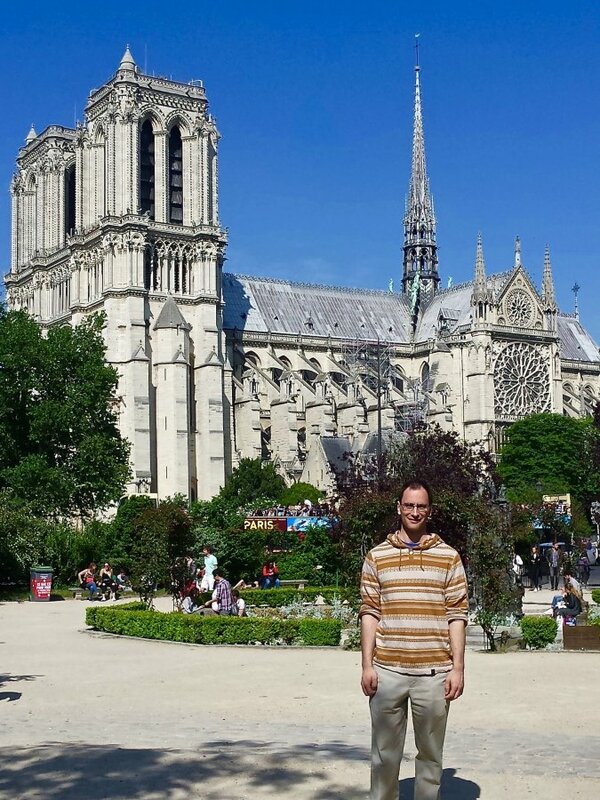 Thanks for the photo My ex-wife and I visited back in the late 90s and were struck by the beautiful gothic design. It's terribly sad to see this happening to a beautiful and important architectural piece, but also as a historical treasure of France. I sincerely hope that many of the artworks and artefacts can be saved, and that enough of the building is left to allow a restoration in time. My thoughts especially for the emergency services dealing with the fire, and all living and working nearby... I hope everyone is safe and stays that way. Very sad. I was there in the early 70s as a kid. Unimproved scans from a Kodak Instamatic. Tragic loss. Luckily, many artifacts were saved. Fires are not accidental. They are almost always predictable and preventable! I know, that was my job for almost 40 years! Fire prevention is a science. Incredible technology exists these days to prevent, detect and extinguish fires. Before I retired I had worked with many expert HPR fire protection engineers. One thing that I learned, was that given the needed financial budget, these fire protection engineers can work their magic and make any building nearly fire proof. Fires ARE preventable. There are thousands of highly educated engineers out there designing fire prevention and suppression systems. I wonder if such preventative measures were taken before this fire occurred - I suspect not. I also see that there was remodeling taking place before the fire. Again, standard industry practice for such construction calls for elaborate fire controls at all times during the construction/remodeling process. I wonder if multiple, trained, properly-equiped fire watches were on call during this remodeling (as is standard practice) - I suspect not. Had this cathedral ungone a comprehensive fire prevention evaluation and had appropriate state-of-the-art preventative measures been implimented before the fire, I suspect this fire would never have happened. And if one did occur, it likely would have been stopped in it's early stages. Maybe a lesson will be learned here, and other priceless buildings will now be evaluated and retrofitted with proper fire prevention and suppression systems before another such tragedy occurs. Last edited by Fenwoodian; 5 Days Ago at 07:39 PM. Fires are not accidental. They are almost always predictable and preventable! Maybe a lesson will be learned here. Answer to B first. I suspect this will be an eye opener. With respect to the rest of the suppositions, you are probably correct. If the reports I have heard are accurate, the Cathedral was not even insured. If indeed that is correct one might infer that short cuts may clearly have contributed to the downfall and destruction to a large section of this 800 year old treasure. 5 years to replace and repair? I’ll take bets that that is a bit ambitious. Nothing seems to get done quickly these days even with incredible technology. 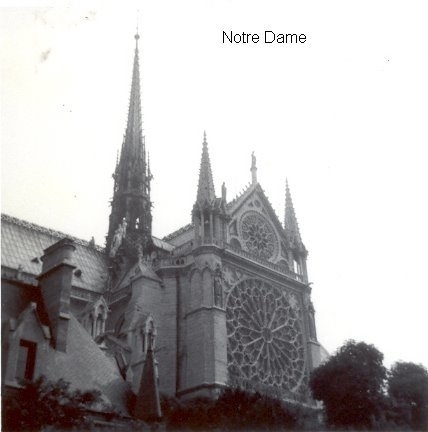 Having visited Notre Dame de Paris several times, I must say that I found its exterior more interesting than the interior, which was poorly lit (and perhaps intentionally, to mask the state of its maintenance), and certainly not as grand as a number of other European cathedrals. Nonetheless, it is an important building for the world, and should be restored and improved accordingly. Listening to a heritage architect this morning, he thought five years was achievable, but the roof structure should change (as have those of other cathedrals also damaged by fire) and they need to commence shielding the interior from the weather right away. 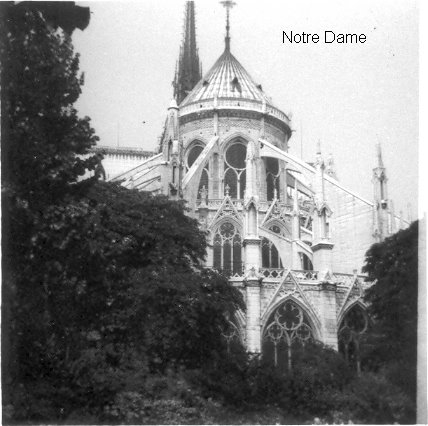 The donations received to assist with rebuilding are very encouraging, in that they’re an acknowledgement of the importance of such buildings to the world, not just Paris or the church. The roof structure was composed of 800 year-old oakwood. This was a real "tinder box", given the fact this old wood was extremely dry. I hope they will consider rebuilding using metal arches as structural elements and concrete panels as new roofing material. I visited the Cathedral in 1979 and found the appearance of the interior rather disappointing. It was dark and the flooring was made of old uneven plank flooring. At the time I remember thinking this looked like the inside of an "old barn". Last edited by RICHARD L.; 5 Days Ago at 04:45 AM.